While today we think of signature scents as a thoroughly modern concept, in reality they’ve been around for a surprisingly long time. Famous figures from antiquity as well as iconic celebrities from recent times have associated themselves with specific fragrances. For the kings of the past, and the powerful men of today, access to the best of the art of luxury men’s cologne was and is a given. Add to that the bespoke scents commissioned for some of these iconic men, and we come across some fascinating, complex and niche luxury fragrances. Egypt was one of the first regions of the world to develop perfume, and everybody’s favourite boy king Tutankhamun was buried with a beautifully crafted jar containing perfume in the form of a solid unguent, still fragrant after many centuries. The scent it gave off was complex; sweet and spicy, yet musky and earthy as well. Experts identified it as the ancient spikenard plant, native to the Himalayas, extremely rare and even more expensive; truly fit for a pharaoh’s tomb. Of course, strictly speaking, the specific concentration of perfume called “eau de Cologne” hadn’t been invented yet, and to discover iconic colognes we must zoom forward thousands of years. In modern times, though not truly royalty, John F. Kennedy is as close as it gets in America, and his signature scent “Eight&Bob” has a curious story behind its curious name. A young JFK on summer vacation in on the French Riviera was captivated by the fragrances created and worn by his friend Albert Fouquet, an aristocrat and a talented hobbyist perfumer. The sample of cologne JFK received from Fouquet became so popular with his friends that he wrote to his French friend asking him to send over “eight samples…and another one for Bob”. Without fully understanding the cryptic request, Fouquet chalked it down to American idiosyncrasy and sent over a multitude of samples marked “Eight&Bob”; sparking the birth of an iconic cologne still produced today. Not all celebrities, of course, have such idiosyncratic and specific tastes; it’s reported that “the King” himself, Elvis Presley, was a Brut man; a cologne encapsulating the raw essence of mass appeal, just like Presley’s music itself. The debonair Frank Sinatra, on the other hand, favoured the clean, elegant and quintessentially British scent of lavender, and would reportedly alternate between the very accessible Yardley’s English Lavender, and Aqua Lavanda by Puig. 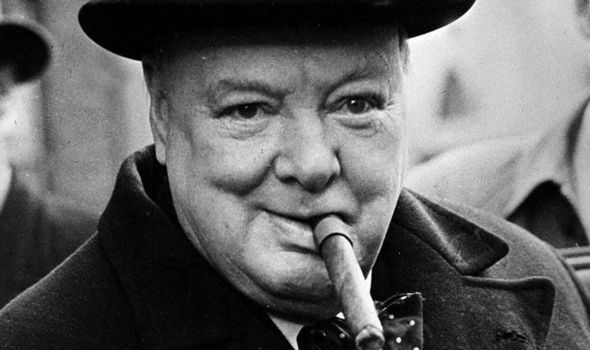 If your tastes lean away from royalty and more towards the political powers behind the throne, you could emulate Winston Churchill, whose love of cigars extended to his cologne, a bespoke blend heavy on tobacco notes called Tabarome by perfume house Creed. At Czech and Speake, we’re fans of the rugged charm of a tobacco note as well, and that’s why we developed Cuba; a cologne inspired by the old town of Havana, layering the tobacco with a hint of rum, vetiver and lime. While Churchill’s fondness for the manly Tabarome is understandable, some men prefer more unusual fragrances. Clint Eastwood, famous for his earthy action roles, is known to wear Dirt, by The Demeter Fragrance Library in New York, a company specializing in “single-note, linear-experience” scents. Closer to home, we’re gratified to hear of Ozzy Osbourne sporting Czech and Speake’s No. 88. The iconic Mr. Osbourne appears on Rolling Stone’s Greatest Metal Albums list more than any other artist, and we think the unusual yet masculine dark rose, vetiver and sandal notes of No. 88 suit him perfectly. Next post: Czech & Speake are Revolutionising Men’s Grooming. Here’s how.